A choir with an outstanding reputation for excellence is donating its services to Saint Edmund’s Church in Sedgefield where members are busy raising money to repair the roof of the North Transept which was stripped of a large amount of lead in two recent raids. Repair costs are estimated to be around £30,000. 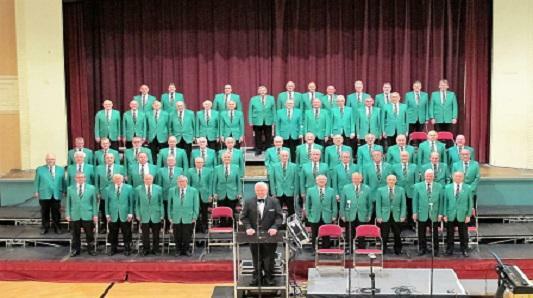 Hartlepool Male Voice Choir, one of the foremost choirs in the North East of England, is to give a concert of light music in the church on Saturday, July 7th, at 7pm. The choir has performed in various prestigious venues including the Royal Albert Hall, Sheffield Arena, The Sage and both Ripon and Durham Cathedrals. It now enjoys such a reputation that its celebrity concerts attract big-name guest stars such as Aled Jones, Lesley Garrett and Russell Watson. Tickets cost £7 and are available from Michael King, any member of the Church Council, or on the door.